I am always on the verge of pulling the trigger when it comes to purchasing a new motherboard. However, the dollar spent to performance gained ratio plays out like a bad commercial in my head. These days, motherboards are becoming more expensive and really aren’t offering too much in the way of shiny new features. 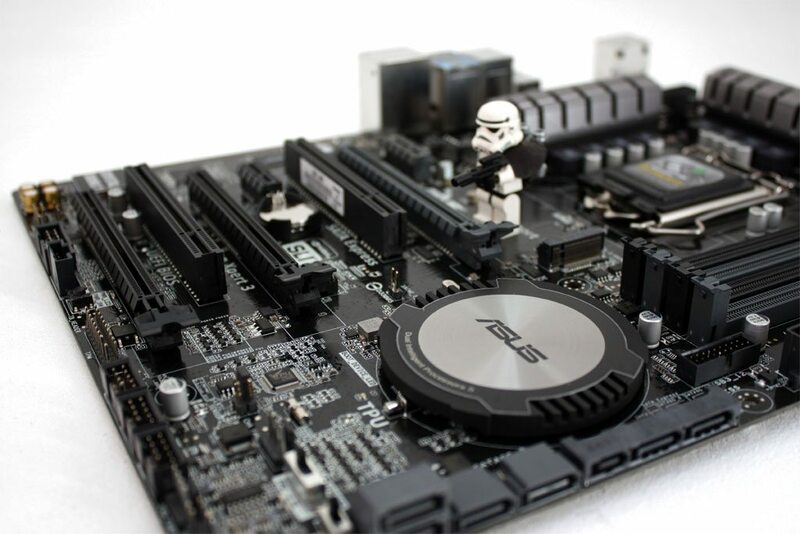 Sure, they look cool… but do they really offer you anything over your current mobo? Simple answer… Yes… and no. 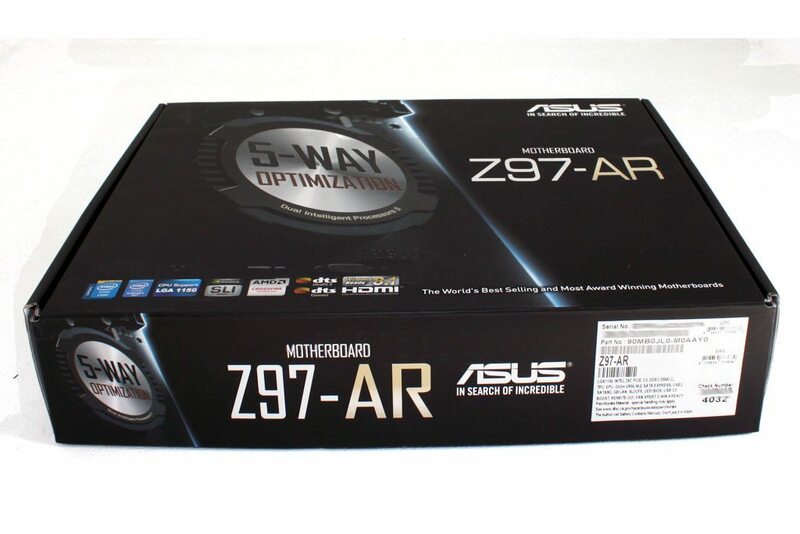 Enter the ASUS Z97-AR motherboard. Let’s face it, the motherboard market is completely saturated. In the old days (when AMD was the first to break the 1GHz barrier), abit and ASUS were the top two primary overclocking motherboard makers to choose from. Today, everyone is fighting for your nickel and the war has made them all step up their game. Unfortunately, the prices went up as the quality did too. The ASUS Z97-AR is not going to be your most expensive option in the z97 market. In fact, I would almost call this a budget board at $149.99 USD when you start to consider some of the motherboard pricing we have been seeing lately, some upwards of $500!!!! If you have been hunting around for a Z97 motherboard, you may have seen the A version of this. The Z97-AR is not that much different than the Z97-A. The A version does have some different colors and VGA / DVI integrated… that’s it. Colors: Silver (AR), Gold (A). With one click, you can achieve total system optimization. ASUS has always been on my short list when looking for a motherboard overclocking. Over these last few years, overclocking has become increasingly easier. With the 5-Way Optimization, ASUS takes the responsibility out of the consumer and dynamically optimizes yours system based on real-time use. TPU, DIGI+, EPU, Fan Xpert3, and TurboAPP are the primary components and one click will configure the settings of all these for you. Personally, I like a little more control. Thankfully, there are always Advanced modes. 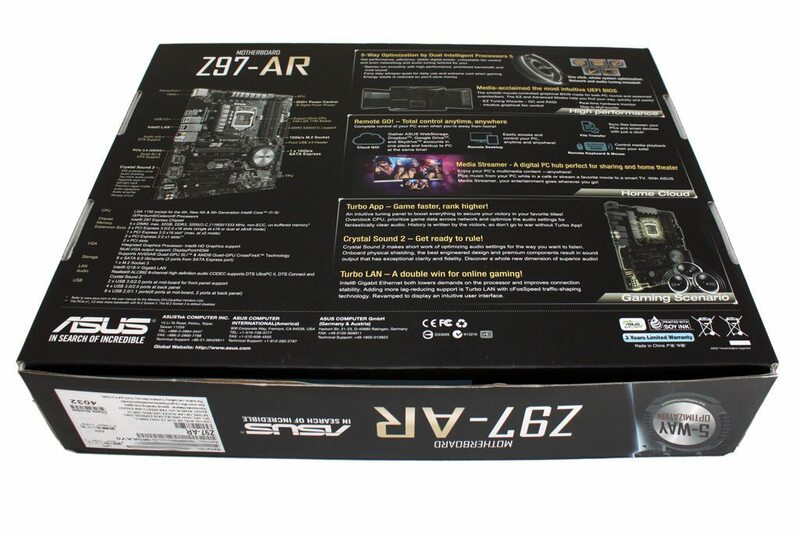 The Z97-AR doesn’t ship in a double stacked motherboard crate (like ROG mobos) and it doesn’t have 400 accessories crammed into its box either. Instead, you get the motherboard, a couple of manuals, a driver/utility disk, the rear I/O plate, a pair of SATA cables, an SLI cable and two EZ connect blocks.